but as suspect as a wristwatch running in reverse. 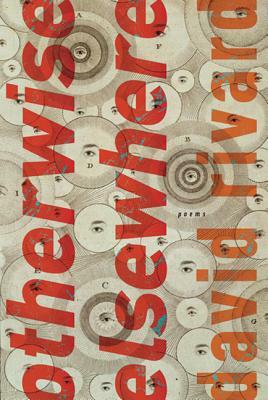 David Rivard's new collection Otherwise Elsewhere describes the many powers—psychological and historical—that flow through people's lives in acts of faith, greed, pleasure, celebrity, gossip, and consolation. A teenage boy looking at a weathered gravestone wonders how many times he'll sign his name in his life; the forest on the move in Macbeth intersects with a blind man cured by Christ; a man coming out of a terrible dream of being lost is saved by touching his wife's hair. "For those of us who need it," one poem asserts, "instruction is everywhere." Rivard's poetry is full of unsettling humor and the careening movement of memory and imagination. David Rivard is the author of four previous books of poetry, including Sugartown and Wise Poison, which won the James Laughlin Award. He teaches at the University of New Hampshire and lives in Cambridge, Massachusetts.